2. Sudden waves of emotion. Crying at the drop of a hat. Feeling suddenly angry or sad with little provocation. Or inexplicably *depressed - then very happy! An emotional roller coaster. 3. Altered eating habits, * food intolerances, allergies you never had before. Unusual food cravings. 4. Amplification of the senses - Sight: *Blurry vision, seeing shimmering objects, glittery particles, auras around people, plants, animals, and objects. You may also see geometric shapes or brilliant colours and pictures when eyes are closed. 5. Amplification of the senses - Hearing: Your ears are adjusting to new frequencies. *You may hear ringing, roaring or buzzing noises. 6. Amplification of the senses - Smell, touch, and/or taste. Food may taste better, worse or just different. You may notice smells or fragrances that others are not aware of. 7. A range of *physical manifestations: Headaches, backaches, neck pains, flu-like symptoms (this is called vibrational flu), digestive problems, muscular spasms or cramps. 8. Vivid dreams. Many dreams may be mystical or carry messages for you. 9. A desire to break free from restrictive patterns, life-draining jobs and toxic people or situations. You want to be creative and free to be who you really are. 10.Creativity bursts: Receiving images, ideas, music, and other creative inspirations at an often overwhelming rate. 11. A perception that time is accelerating. 12. A deep yearning for meaning, purpose, spiritual connection, and revelation. Perhaps an interest in the spiritual for the first time in your life. 13. A feeling that you are somehow different, with new skills and gifts emerging, especially healing ones. 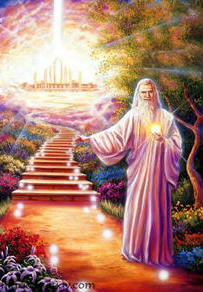 14 “Teachers” appear seemingly everywhere with perfect timing to help you on your spiritual journey. 15. Seeing things that have spiritual importance for you. Noticing how numbers appear with synchronicity. Seeing the message in everything that happens. 16. Increased integrity: You realize that it is time for you to seek and speak your truth. 17. 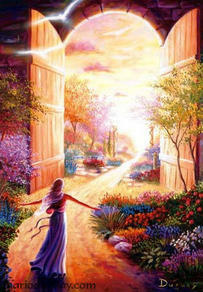 Harmony with seasons and cycles: You are becoming more tuned to the seasons, the phases of the moon and natural cycles. 18. You are drawn to studying and working with crystals. 19. Increased intuitive abilities and altered states of consciousness: Thinking of someone and immediately hearing from them. Intensified sensitivity and knowing. Channelling Angelic energies. 20. Communication with Spirit. 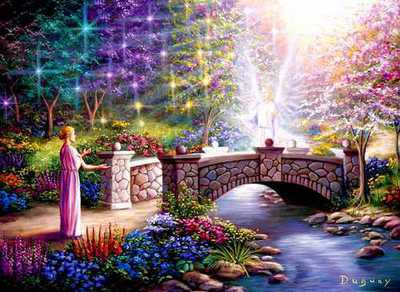 Contact with Angels, spirit guides, and other divine entities. 21. Living your purpose: You know you are finally doing what you came to earth for. * As with any unusual physical or emotional symptoms – if they are causing you concern you should always consult your Doctor. n.b: The above "21 Signs of Spiritual Awakening" have been taken from various signs and symptoms of spiritual awakening can be seen in several places on the internet. I would like to be able to thank and credit the original author(s) of this information but have been unable to clarify the original source(s).